Euro is still being corrected. Possibly, during the day, bulls may break latest maximum, but after that price may continue falling down towards lower fibo-levels at 1.3490. If later price rebounds from these levels, pair may start new and deeper correction. 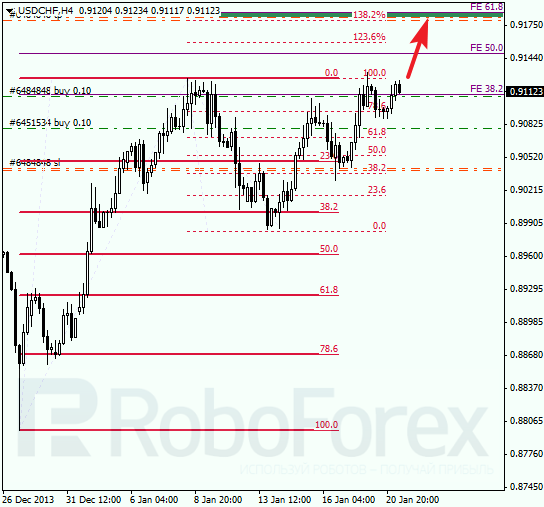 As we can see at H1 chart, target of current correction is at local level of 50%. 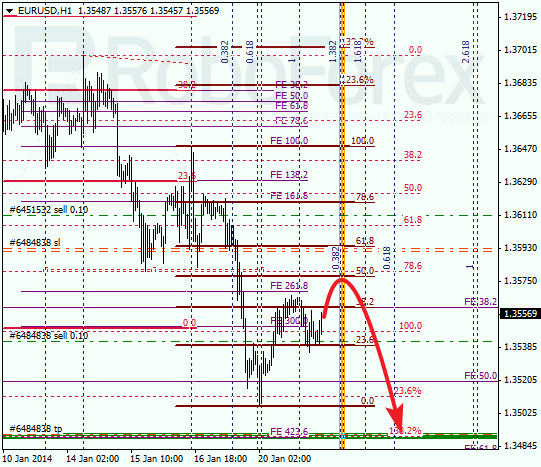 According to analysis of temporary fibo-zones, this level may be reached during Tuesday. If later price rebounds from it, I’m planning to increase my short position. Franc is moving very close to its latest maximums. During the next several days, price may continue growing up towards upper fibo-levels. If later Franc rebounds from this target area, bears may steal the initiative and start new and deeper correction. 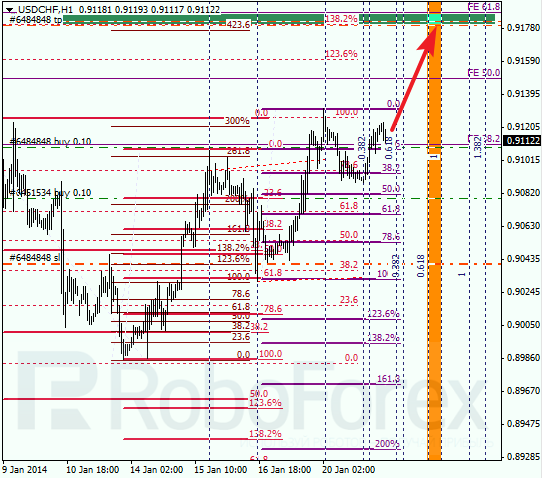 As we can see at H1 chart, after rebounding from local level of 38.2%, price started growing up again. I’ll move stops below latest maximum as soon as pair breaks maximum. According to analysis of temporary fibo-zones, main target may be reached by Wednesday.